"Of course not," said the mother as she pulled a toddler into her lap. Hi, Catherine! I'm here from the Déjá Vu blogfest. :) This is a really sweet story with wonderful description. I could see it all perfectly. 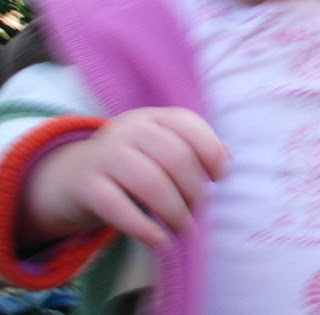 It's especially resonant for me since there have been so many babies among my family and friends this fall (seven!). Beautiful and touching story! I really enjoyed reading it, great entry for the Deja Vu fest. more younger people need to visit those homes. they were young once and now they're mostly forgotten. I'm getting there myself. Just received a new granddaughter late last night and I'll get to meet her tonight after work. Lovely story. Oh, that was a sweet post! You picked a great one to recycle. Another Deja writer here (#33), and I love the way you write! Definitely following this blog! Hi Catherine--I'm stopping by from the blogfest. Great story-- "kissed the delicious softness"--love that! Lovely writing. 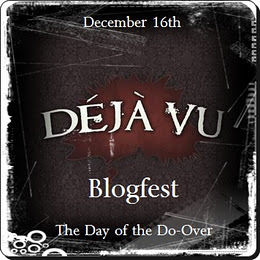 I came over from the Deja Vu Blogfest...and I'd like to come back and read more! You always know how to tug at my heart! Beautifully written, as always. A perfect choice to show off your voice to the new followers! Catherine, I can smell that baby! It really is touching, how you've described a young mother in motion, and Lucille's quiet mourning of those days she must have rocked, wrangled and raised her own babies. That's a really lovely story, and I agree with the others that your descriptions are evocative and spot-on! Nice to meet you, Catherine! This is truly beautiful. I'm so glad you reposted it. It brought back memories of when I used to take my three young children to a nursing home by our house to visit the residents. Their eyes lit up at the sight of the kids. And the older two, ages 5 & 6, loved going on Bingo day when they got to play with the senior citizens! When I had our fourth child, I had my hands full and was too tired to keep visiting the nursing home. What a shame. So nice to meet you during this great blogfest! What a lovely scene. Nice choise for reposting. This is a lovely story, filled with all the things that tug at your heart. I'm making blogfest rounds. Nice to meet you. This is a beautiful story. Great job. This is sweet. I'm glad you reposted. My kids are 9 and 13, so I've left the soft, snuggly stage. But it also means they're pretty reasonable. It's a nice time. I'll miss them when they've grown.